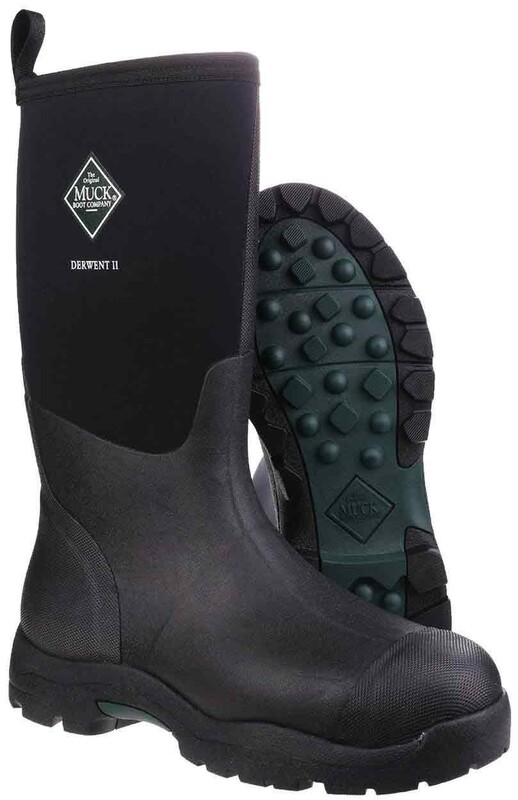 With an MS2 Bobbed, moulded outsole for an aggressive tread pattern the Derwent II offers quality, functionality and comfort in one product. 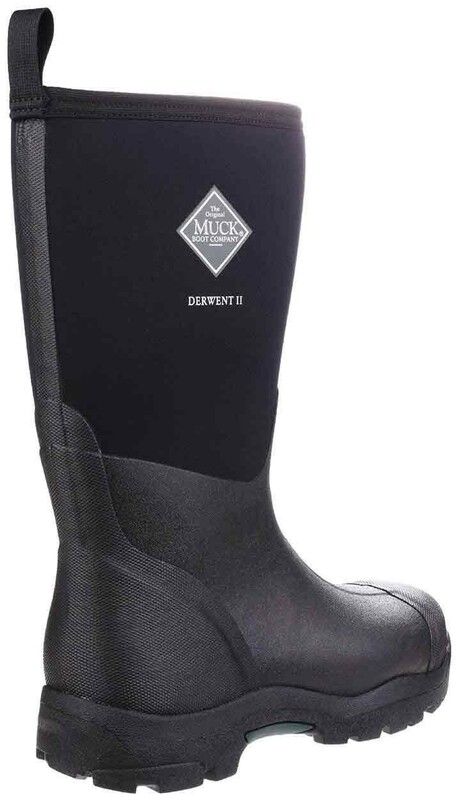 The Muck Boots Derwent II All-Purpose Field Boot Black features: 4mm CR Flex-foam, PK Mesh Lining, Comfort topline, Reinforced toe and ankle, Rubber outsole with aggressive tread pattern. Temp rating 0C to 18C. 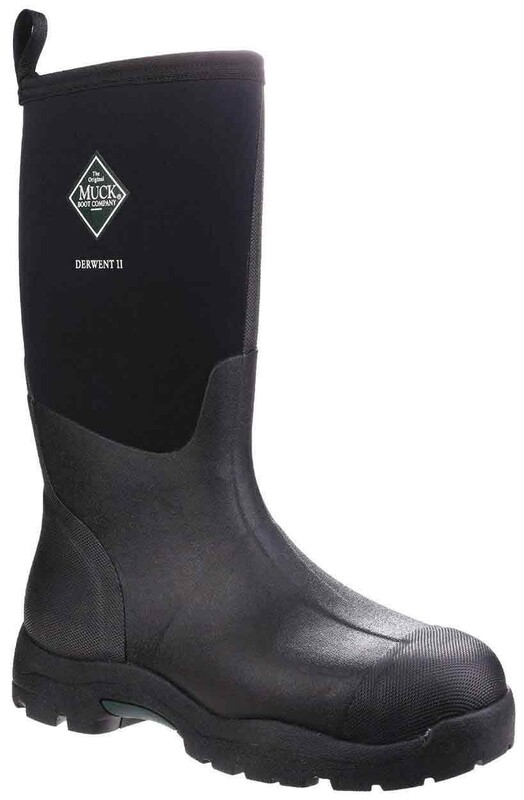 Upper: Rubber/Neoprene, lining: PK Mesh, sole: Rubber.